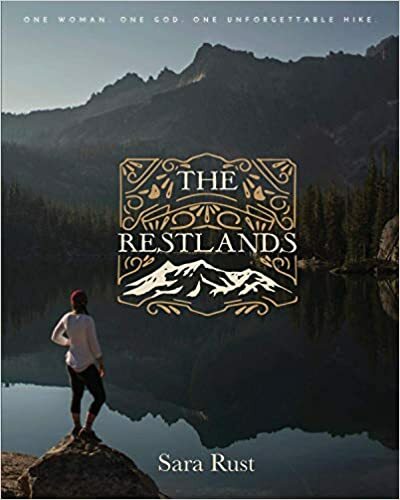 My friend and fellow author Sara Rust has released her latest novel The Restlands on Amazon and on her website where it is also available in e-book and audio book format with full music soundtrack. One Woman. One God. One Unforgettable Hike. The whimsy of C.S. Lewis and the poignancy of Paul Young’s, The Shack, converge in this thought-provoking allegory of a woman on a hike with God. The Restlands is not just a book you read, but a journey your experience. The story follows the journey of Scribe and Papa through beautiful scenery, challenging decisions, revelations, meeting other characters on the journey, and culminates in a stunning scene at their final destination. The book highlights the journey with full color photography and excerpts from Scribe’s journal sprinkled throughout. I wrote this story during a very hard season of life when depression and hopelessness were my constant companions. Despite the hardships I was walking through, writing had always felt life-giving, so I wrote with the hopes that my heart would come alive again. Writing became my umbilical chord to life and to encountering a love of God that awakened me to a new rhythm of life – a life lived from rest. I am extremely excited to get my hands on a copy! Sara and I go way back from the days when I was attending seminary. Little did either of us know we would both become authors. What do you think? Let me know in the comments below and tell me about your thoughts. While you are at it, check out my review of the indie film ‘If You’re Gone’ and my article 10 Guns That Need To Appear In ‘Gun Gale Online.’ Don’t forget to like, share, and subscribe for more posts like this one.